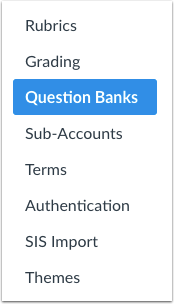 You can create account and sub-account level Question Banks in your Canvas instance. This allows anyone in the account to have access to the questions. Click here to view a video about Question Banks. Previous Topic:What are Profile and User Settings? 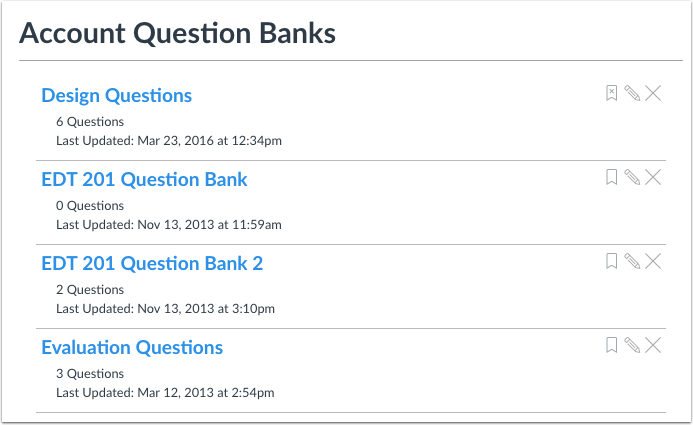 Table of Contents > Canvas Features > What are question banks?